The rainbow streamers were strung, the pop ballads were queued, and early arrivals were posing for Polaroid photos. Queer Prom was off to a good start, but Mary Aquiningoc ’19 was stressed. “It was a bit of a mess,” Mary says. “I showed up late because I had to make the playlist and all this other stuff. Our treasurer quit an hour before setup. We had to recruit all these random people to help unlock things and get our decorations out. I was just running everywhere.” But then Mary, the inimitable Queer Alliance co-president, got things under control, and people started migrating to the dance floor. 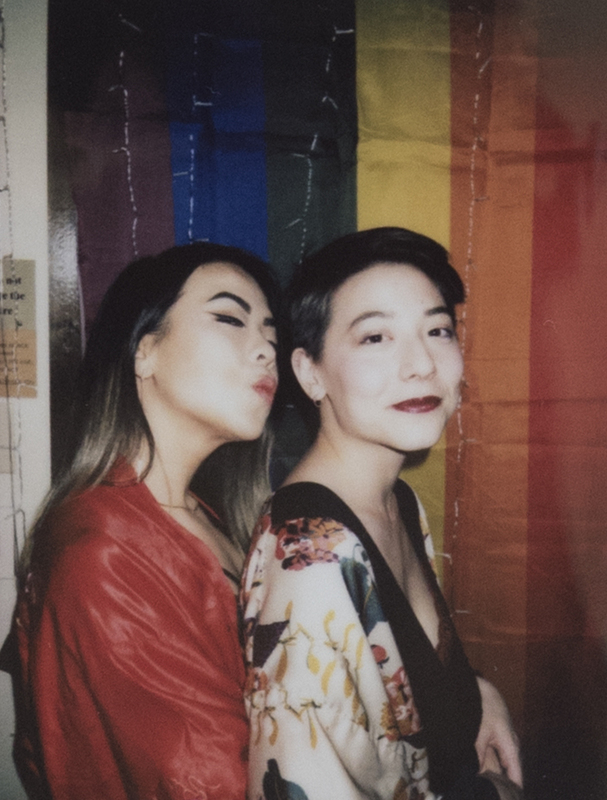 Julia Lin ’18 and Mary Aquiningoc ’19 at Queer Prom. I think there is progress, but that doesn't mean that we're there or anything. I don't think there is a there." It’s true that millennials have benefited from so many LGBTQ warriors who cut a path ahead for them. The country has come explorations a long way since the Stonewall riots and the height of the AIDS epidemic, and this generation is more comfortable with fluid concepts of sexuality and gender identity. But there’s still real inequality to contend with. “I think it’s really naïve to say we’re always moving forward when it comes to queer politics, because as policy adapts, it still stays within the framework of what is traditionally acceptable,” Mary says. For instance, the heteronormative nature of gay marriage makes it easier for society to accept marriage equality than gender-neutral bathrooms or civil protections for trans people. Meanwhile, the Queer Alliance leaders created Quom in the image of that most mainstream coming-of-age construct: high school prom. They tried to keep it a little bit radical, a little bit underground, almost making fun of prom while also living out a high school fantasy. Here, same-gender dates are the norm. Here, there’s no need to declare your identity—just exploring it in a safe (or at least safer) space, dancing and posing for photos in whatever clothes you were feeling that night, is enough.